Hello again! Today’s Fangirl Friday post is dedicated to another character inspiration from my upcoming novel, No Sacrifice. Rhys Hadley is Patrick Tearney’s co-star on their TV show, Deception. They play a couple in love and Rhys, the poor man, goes through some of his own personal hell throughout the story. I waffled over his inspiration more than a few times. For a while, he was Josh Duhamel and took on a couple of other faces, but I kept coming back to Dan. Dunno why, but he just seemed to stick in my head. 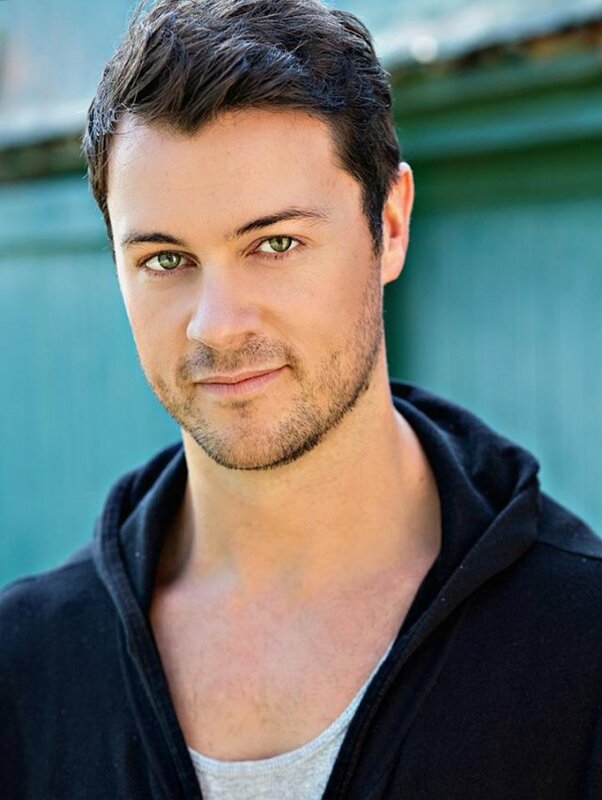 Finally, I gave in and just accepted that Rhys Hadley was inspired by Dan Feuerriegel (And, nearly a year after I started writing it, I *still* have to look up how to spell his name. >.>). Dan, as most of my readers probably know, played Agron on the Starz TV series, Spartacus. I truthfully haven’t seen him in anything else. He’s certainly done other shows and a couple of movies, I’ve just never seen them. Rhys Hadly, unlike Dan, has long hair (to go with the role he plays of Cyrus), but other than that–and the penchant for constant stubble–Dan pretty much fits the image in my head of Rhys. I’m not overly familiar with Dan’s personality but despite occasionally coming off conceited, he seems to be a decent sort. I, of course, don’t know him like I do Pablo, but from what I’ve seen, he’s certainly no worse than most of the Australian actors we’ve heard about. “ In The Tub” isn’t the only charity he’s attached to, however. 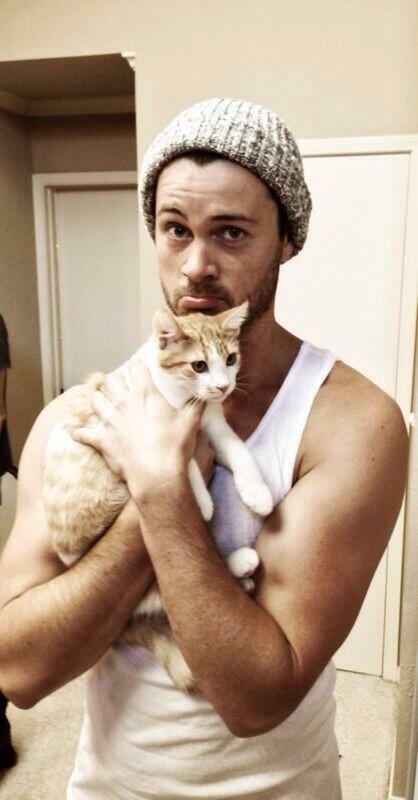 Dan has also been seen with more than a few kittens to help the KittCrusaders charity. Original, unwatermarked picture can be purchased through the KittCrusader site. I figure, in the end, he can’t be too bad if he’s this willing to donate his time to charity. You can find out more about Dan on IMDB, his Facebook page or by following him on Twitter.